India has already shown that it can master the chick lit. Now it’s the turn of the Sophie Kinsella type of novel, the girl after marriage dealing with accounts. In fact Sophie Kinsella’s heroine pops up fairly often in this peppy debut novel, as does Alexander McCall Smith’s middle aged sleuth Isabel Dalhousie, so it’s good if you’ve flipped through books by both authors. It’s a book about the friendship between a young newly married girl, Mila Chatterjee and an older woman. Mila’s just got married and has moved to Delhi with her husband Abhimanyu who is studying something strange after giving up a full scholarship to a prestigious American university. 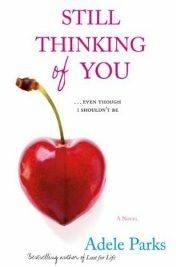 ‘Still Thinking of You‘ is a really light, easy read and definitely comes under the category of ‘chick lit’! 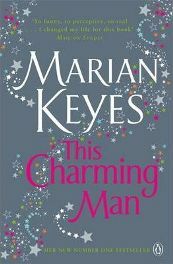 If this is your sort of read (even if only occasionally) then I would definitely recommend it! I had already read a couple of books by Adele Parks – both of which were very enjoyable, and I was definitely not disappointed by this book either.